No.45 Steel With Surface Hard Chrome Painted. Wall panel sheet roll forming machine produced by Wuxi shenghong is able to produce beautiful wall panels is used for construction and outdoor decoration. Advanced and innovate technology is adopted and the machine is equipped with PLC control and touch screen. As the competition of machinery industry at home is fierce, our machine is designed and manufactured at a high level. No matter manufacturing, assembling or material used, we always have a high standard. 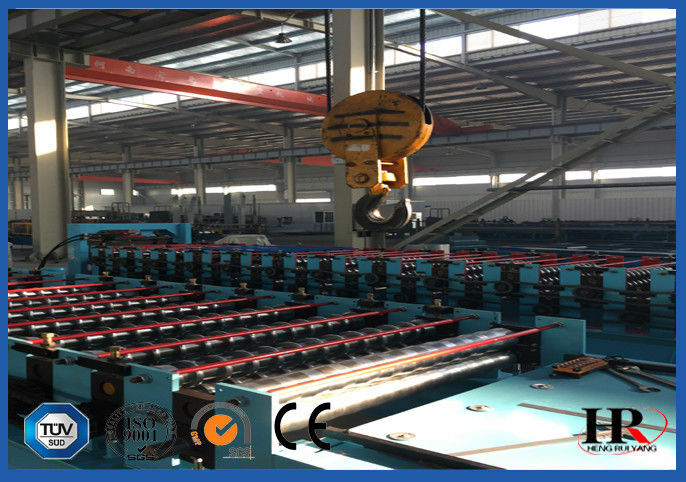 The forming machine consists of uncoiler, guiding device, roll forming unit, stop-to-cut device, run-out table, hydraulic system and electrical controller. We can customize high-quality wall panel sheet roll forming machine according to the requirements of customers. We can not only provide high-quality products but also provide good service. Our price is competitive in the market. 2. Main forming system Feeding&guide device 1set 1. Roller material: No.45 steel with surface hard chrome painted. Wall panel sheet roll forming machine is used for making strong wall panels with beautiful appearance. Metal corrugated wall is widely used for commercial steel structure buildings, associated with residential and commercial. 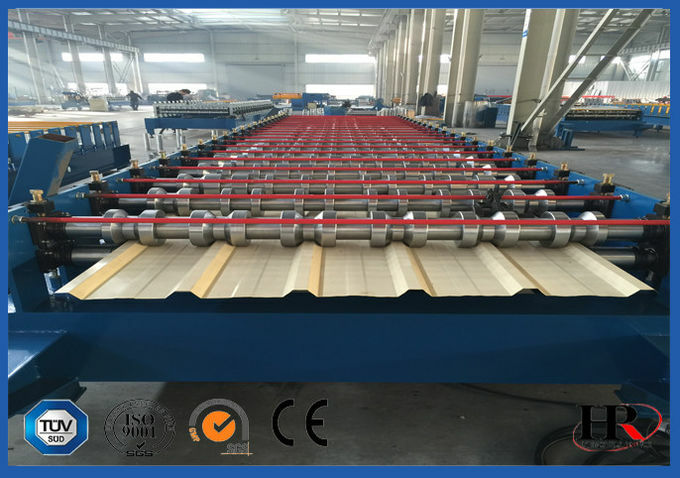 Wall panel sheet roll forming machine adopts advanced and innovative technology to provide convenient roller change and the machine has a wide application in practical use.